Photo of: East Coast of Ireland: Dublin: Liffey. 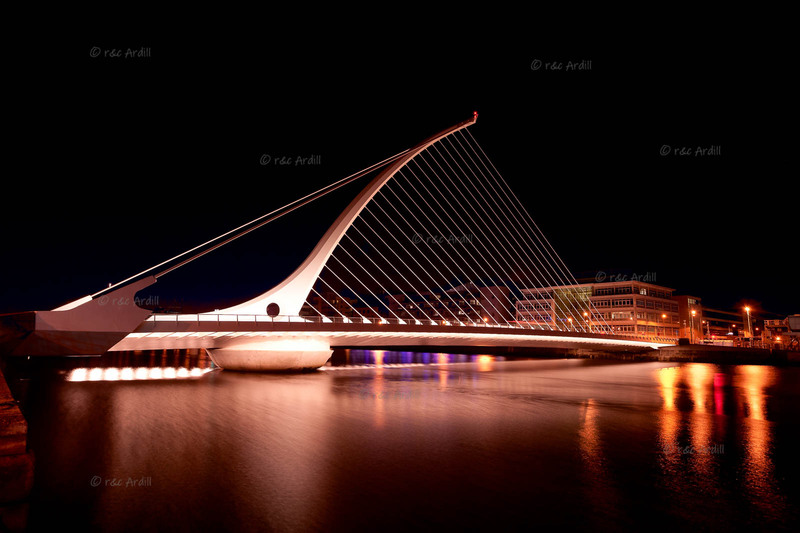 A night-time view of the Samuel Beckett Bridge near the mouth of the Liffey. The bridge was designed by the internationally acclaimed architect Calatrava Valls. He has created a landmark structure with a curved profile leaning northwards. This dramatic shape gives the appearance of a harp lying on its side.